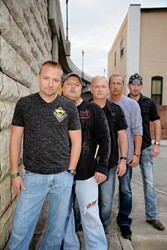 The WORX is an award winning Mid-Atlantic regional band entertaining audiences for over 27 years. The professional musicianship, variety, and versatility will impress the hardest critics and leave you wanting to see more. What makes the WORX is the unique ability to adapt to any engagement with the skills to make your event a sure success. The WORX is totally self-contained with the best in audio and lighting production to handle most any event. The WORX has a deep pride in their reputation and strive to keep it the best. This is why the WORX is one of the most sought after bands in the region. Get the WORX for your event and let them do the entertaining. That's what they do! The Worx are now on Twitter & YouTube! He left Roanoke in 1979 and performed in 37 states over a period of 12 years. He has performed with Percy Sledge and opened for Tina Turner, Steppenwolf, Jefferson Starship and Keith Urban to name a few. Steve moved back to Roanoke in 1991 and founded the Worx. In 1996, He regrouped the band with the current lineup of musicians. "I've worked with a lot of smokin' players but none have impressed me more than the guy's I'm with now! " Harrisonburg Va. - The Worx chosen best local band 2007! My name is Casey Gillis, and I'm a reporter with the News & Advance and The Burg. Every year in The Burg - our weekly entertainment publication - we have a Best of the Burg contest, where readers vote for things like their favorite cup of coffee, favorite live music venue, favorite local band, and that kind of stuff. 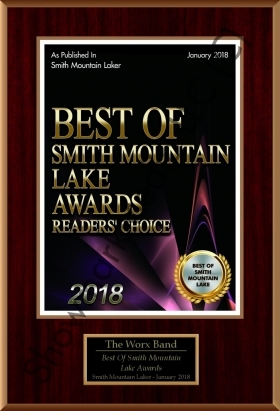 This year, The Worx won Best local band!